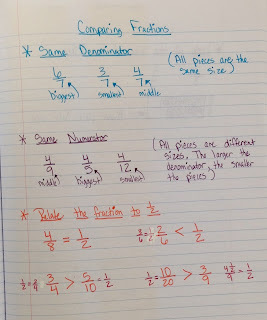 I like to give the kids lots of different strategies to use when trying to compare fractions. 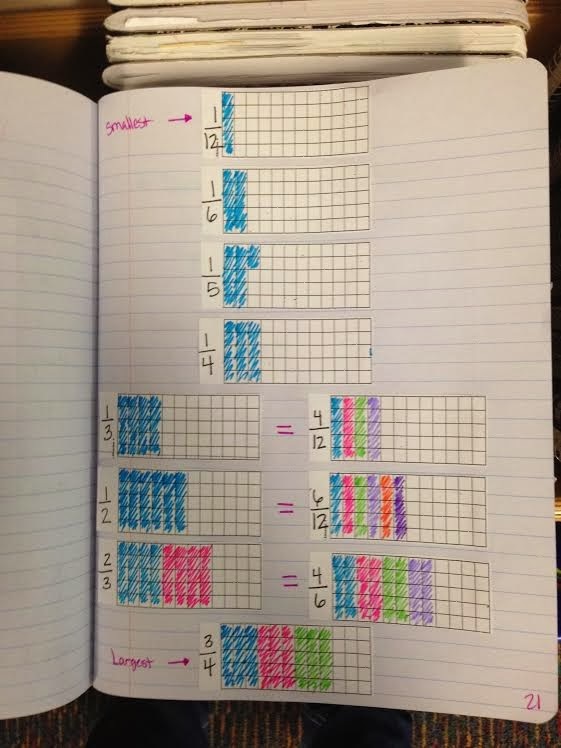 This is a tough concept, so the more they have to try, the better! 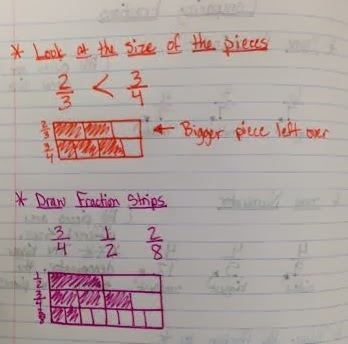 We really focus on the size of the pieces for each fraction. 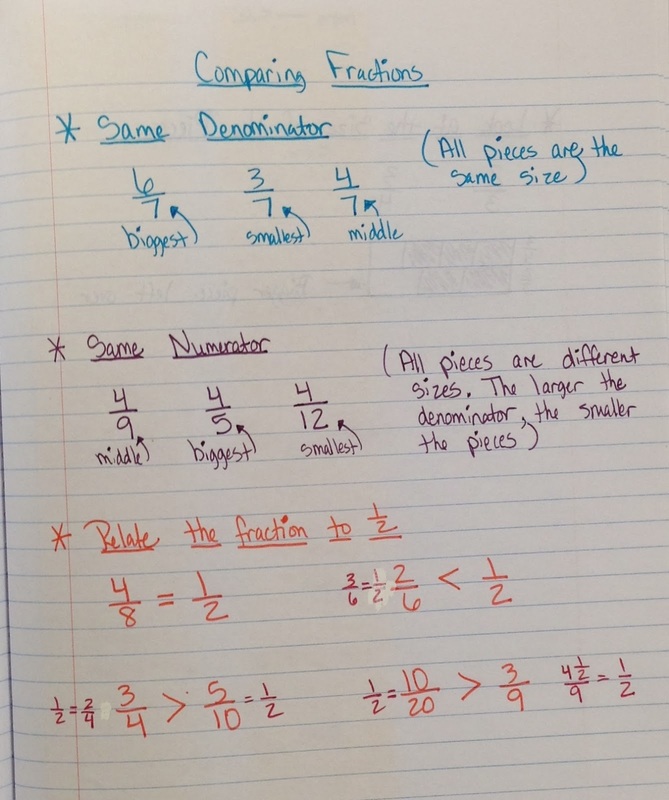 It's important the kids understand what that denominator means!